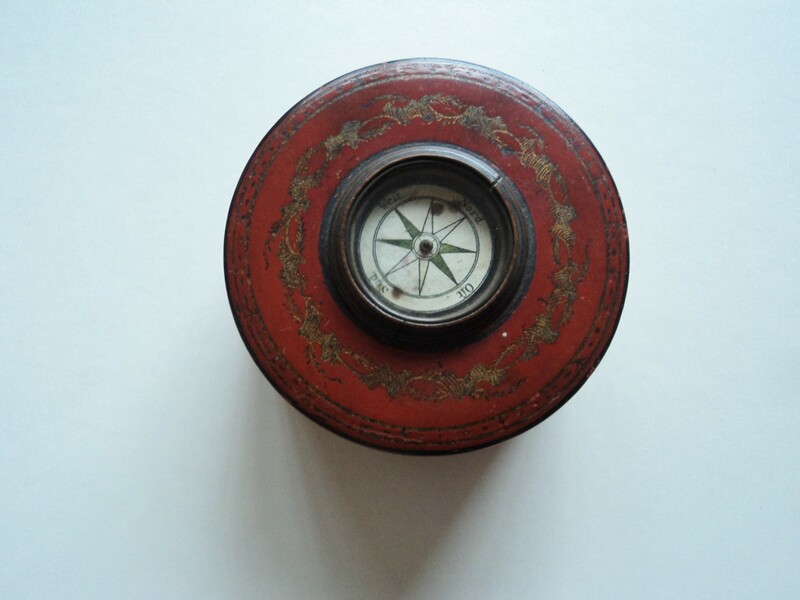 Hand painted wooden box with paper compass fixed in lid. Diameter 8,5 cm. Uncommon collectors item.